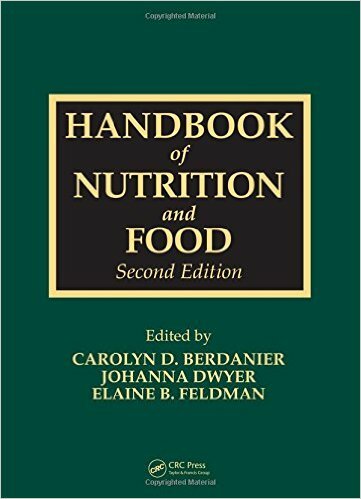 Significantly revised and updated, this second edition of the bestselling Handbook of Nutrition and Food welcomes contributions from several new authors, including Elaine B. Feldman and Johanna Dwyer, notable leaders in nutritional science. 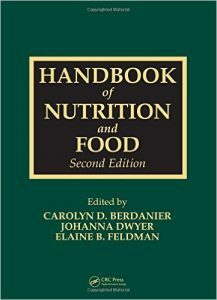 Retaining the high level of scientific research, accessible language, and attention to detail of the original, this new edition reflects the changes and developments of the past six years in nutrition research by adding 12 new chapters and tripling the number of referential web addresses. Beginning with an overview of food and food constituents, the book outlines current nutrient analysis systems, techniques for data analysis, and food labeling. The second section reviews nutrition science including terminology, biochemistry, nutrient-nutrient interactions, and comparative nutrition. There is a detailed assessment in section three on nutritional needs throughout the lifecycle. It highlights exercise and the value of vegetarian diets in health promotion and disease prevention. Section four considers issues surrounding nutritional assessment, screening, and monitoring tools including questionnaires, and anthropometric-, psychological-, and energy-assessments. The book discusses particular challenges relevant to minority populations, school age children, and military recruits, and compares dietary guidelines in the US and around the world. Fully one third of the book relates the latest findings in clinical nutrition and the prevention and amelioration of wide range of disease states. In addition to cardiovascular disease, diabetes, and renal diseases, contributions cover cancer treatment, eating disorders, pancreatic health, eye diseases, alcohol metabolism, food allergies, the genetics of human obesity, and herbal supplements.